2017 Netball participants playing a great game. Every year Flinders Council supports a variety of community groups, providing funding for specific projects through Community Grants and Gunn Bequest (Sporting Clubs) endowments. Applications for funding under the 2019 Community Grants and Gunn Bequest program are now open. Apllications must be recieved no later than C.O.B. 29 April 2019. Flinders Island Sub-Branch of RSL - Return charter flight to Cape Barren Island for 2019 ANZAC Day ceremony and breakfast supplies. Friends of Bass Strait Islands - Help with costs of charter flight for participants working on eradicating boxthron from Roydon Island. Flinders Island Sports & RSL Club - Expenses incurred to present 2019 Australia Day event. Flinders Island Show Society - Entertainment expenses for 2018 Show, insurance cover and waiver of food permits. Flinders Island Womens Golf Club - Return charter flight to Cape Barren Island to attend the Cape Barren (Golf) Classic. Flinders Island Bowls Club - Seating for bowling green. In 2017 the Furneaux Islands Motocross Association received a Community Grant to assist in covering various insurance costs as well as machinery hire to help with the improvement of the riding track at the Lady Barron Motocross Track. Together with this Community Grant, further fundraising by the Association and volunteer contributions, the club has been able to maintain a safe and managed riding environment for members. The Association look forward to continuing the improvement of the facility to allow for more fantastic riding days at the track. 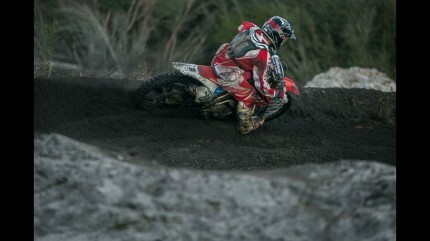 They aim to further develop the track to ensure a safe environment for both new and experienced riders. 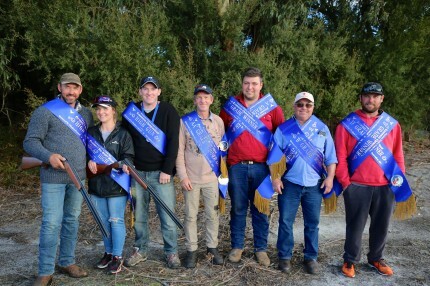 The 2017 Super Shoot was held on the weekend of 9th and 10th September with 16 shooters travelling intrastate and interstate to complete. The overall High Gun for the Tasmanian Championships was local shooter Lyndon Nicholls and Handicap High Gun was visitng shooter Katrina Clancy. The overall High Gun for the Furneaux Super Shoot was visitng shooter Adam Hirchfield and Katrina Clancy again won the Handicap High Gun. Sashes, medallions and trophies were awarded to all winers as well as second and third place getters. Several of our local shooters were champions and placegetters in their respective grades. 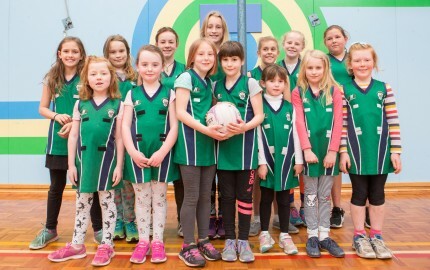 With the help of community volunteers and mums & dads the Flinders Island Netball Association was able to get up and running again in 2017. 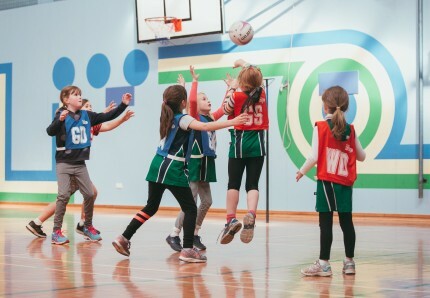 This year they concentrated on junior netball, teaching ball skills and drills, followed by game play. The children of all different age groups had an excellent season and the improvement from start to finish was enormous. A big thank you to Flinders Council for their Gunn Bequest Grant with which we were able to purchase new netballs. Flinders Council acknowledges the outstanding contribution volunteers make to the community, and annually honours one especially worthy volunteer with the award Citizen of the Year. Our 2017 deserved winner was Mrs Pat Masters. Nomination forms for 2018 will be available from the Council Office and here via this link - Citizen Of The Year Award 2018 - Nomination Form - in the new year for people wishing to nominate an individual for the Flinders Council Citizen of the Year Award. The award will be presented at the Flinders Island Show in October 2018.